Completeness: Communicate every important specification. Default Tolerances & Finishes: Review default specifications used unless otherwise specified. Tolerance & Allowance: Ensure your design has proper allowance and tolerance. Surface Finish: Consider adding a finish, such as powder coat, to protect surfaces and improve appearance. Fit: Make sure your parts fit together properly. Responsibility: Understand your responsibilities and eMachineShop’s responsibilities. Re-Orders: Re-ordered parts are counted as new orders and may vary from the original order. Use tolerances to specify allowable ranges. Changes: Repeat the above steps before ordering if you modify your design. 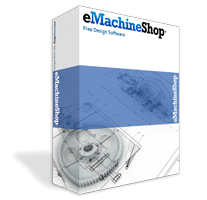 If you are ordering parts using the eMachineShop CAD software, see the CAD Ordering Checklist.